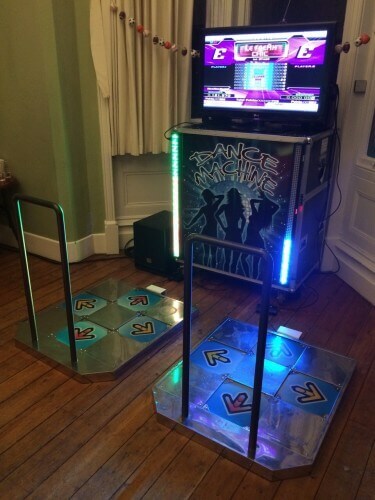 Get on your dancing shoes with the Dance Machine ! 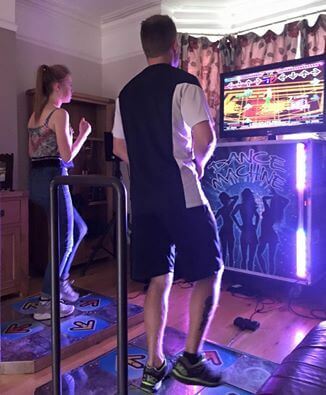 The arcade style twin Dance Machines bring the excitement of the arcades to your event and are a proven party favourite. Follow the moves on a 42 inches Plasma screen. Go head to head and battle it out with your partner. 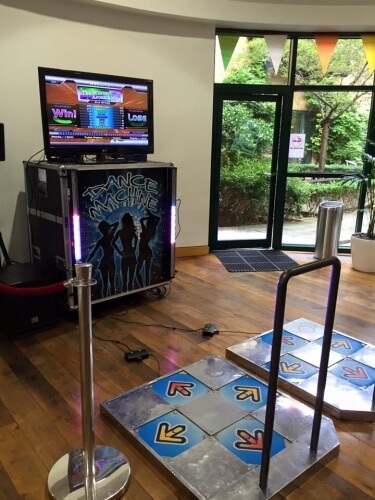 Our stunning twin dance machine is a proven party favourite. 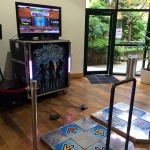 It uses the latest software featuring current artists, classic disco tracks as well as the usual mix of dance stage pop. 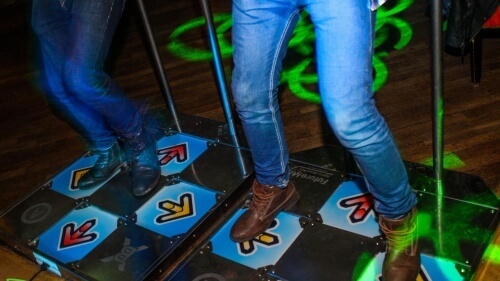 This is great fun and will guarantee to get everyone dancing, both adult and children. 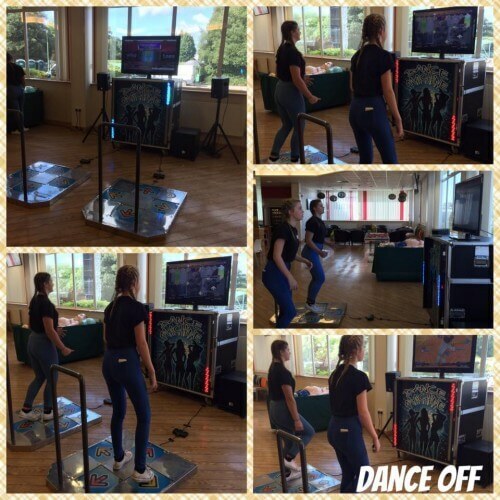 This game is also fantastic fun for the spectators to watch the players bust out their best dance moves! 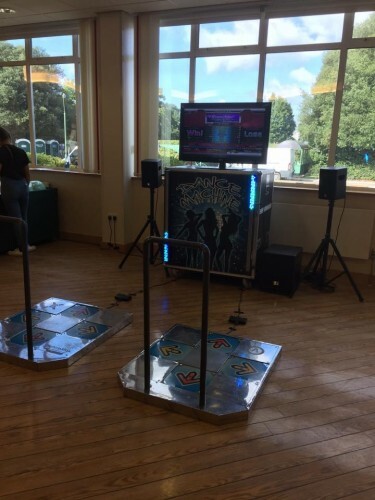 This is supplied and installed complete with twin authentic arcade style metal dance mats, hand rails, 42″ plasma display on branded plinth stand, powered pa system and ultra bright colour change LED baton lighting. Our on site staff will remain throughout the event to assist and facilitate as required. 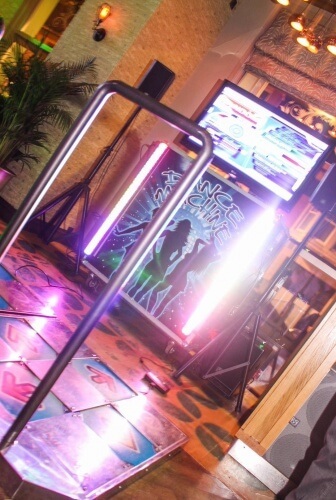 Ideal for corporate events, parties, product launches, promotions, birthdays, university’s, office parties or even your own house party. 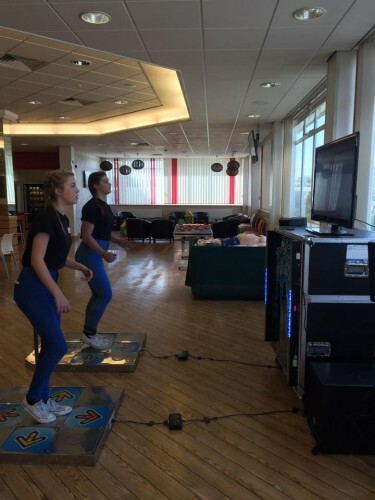 Operated by our fully trained staff.